Gabe Golden makes documentary films in addition is an incredible writer and producer. He has authored six screenplays and has found creating documentary films to be an essential form of in-depth journalism necessary to communicate all aspects of a subject. Inspired by his 30-year challenge with rheumatoid arthritis, Gabe is directing “Lighting the Path,” a documentary on alternative medicine. He has also co-written and produced the award winning “Rangeland” series as well as the “Nevada Mining” series for PBS. 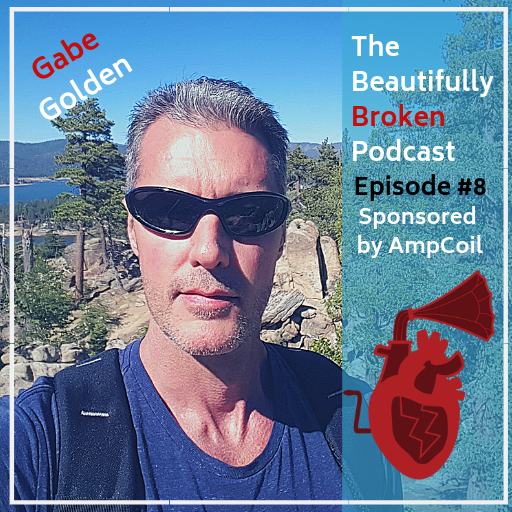 I know being a documentary filmmaker sounds impressive enough but just wait to you guys hear Gabe’s incredible story and what amazing things are in store for his future! His heart and soul come through so clearly in this interview and it is a pleasure to hear it unfold! – 2:03 – What superhero do you align with? – 24:46 – What is microcurrent therapy? – 36:02 – Is there a difference between biological and western functional medicine? – 47:50 – Would you trade your most painful moments for easier days? – 49:48 – What does it mean to be beautifully broken? ← Episode 7: Dirty Cheerios for Breakfast?